DOVER, Del., March 14, 2017 /PRNewswire/ -- Michael P. McMasters, President and Chief Executive Officer of Chesapeake Utilities Corporation (NYSE: CPK) (Chesapeake Utilities) announced that the Company's Board of Directors recently promoted James F. Moriarty from the position of Vice President to Senior Vice President of Chesapeake Utilities Corporation and its subsidiaries. 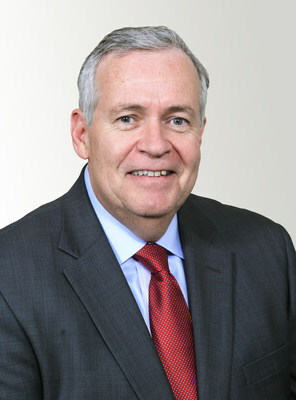 Mr. Moriarty, who also serves as Chesapeake Utilities' General Counsel and Corporate Secretary, joined the Company in 2015. Mr. Moriarty is responsible for overseeing the Company's legal affairs. In addition, Mr. Moriarty leads Chesapeake Utilities' Security Council and Risk Management committees. "Mr. Moriarty is a trusted leader who has earned the respect and confidence of our team, our business partners and stakeholders throughout our service territories," said Mr. McMasters. "His energy experience, legal expertise and professional relationships, coupled with his business judgement and strategic thinking, will continue to contribute to the work underway to position our Company for future opportunities and growth." Mr. Moriarty has over 25 years of experience representing leading companies on diverse energy projects. Previously, Mr. Moriarty was a Partner at Locke Lord LLP and Fulbright & Jaworski, LLP, both international law firms with offices in Washington, D.C.